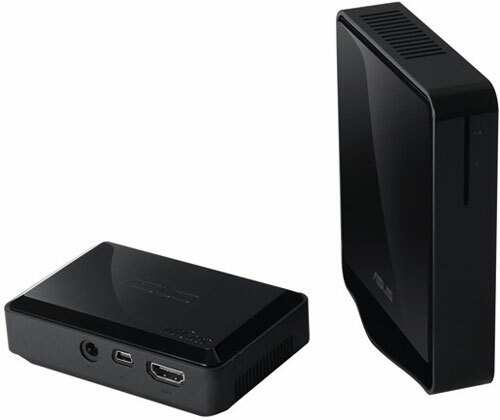 Coming this September is the Asus WiCast EW2000, a PC to TV connectivity kit. Developed on WHDI (Wireless Home Digital Interface) technology, the WiCast kit allow you to project 1080p high definition content from your PC (notebook, netbook or desktop) onto a television or LCD Monitor. The kit can transmit images up to a distance of 33feet, with no noticeable latency (less than 1ms). The adapters will come as a set (HD video transmitter and receiver) in a compact consumer friendly design, and will interface to the PC and TV. In addition the adapters are powered the PC’s USB ports for ease of use and making the solution highly portable for use with laptops or netbooks. The Asus WiCast WHDI solution was developed by AMIMON and features Amimon’s second generation chipset, AMN2120/2220, enabling robust, high-quality wireless 1080p 60Hz in the 5GHz unlicensed band. The HD wireless video technology from AMIMON is the basis of the WHDI standard. With WHDI products content such as Internet video, flash media, digital photos and PC games can all be viewed and experienced on the TV with a convenient wireless connection. In addition to PCs, the WiCast can connect to any source device with an HDMI port such as set-top-boxes (STBs) and gaming consoles to enable a wireless connection from devices with HDMI ports. The one current option that can handle 1080p graphics costs $599, with others options costing $240 and up for less than full HD graphics. Now with WiCast, ASUS introduces a groundbreaking full HD 1080p, 3Gbps solution for the killer price of $199 (MSRP).